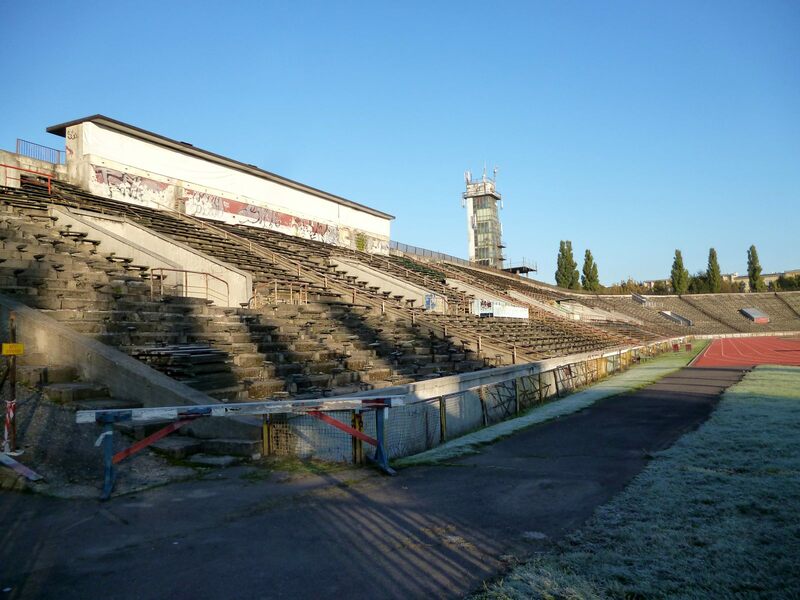 First stadium in the north-west of the Mokotów Field was built in 1934 and used by the multi-section club Warszawianka. 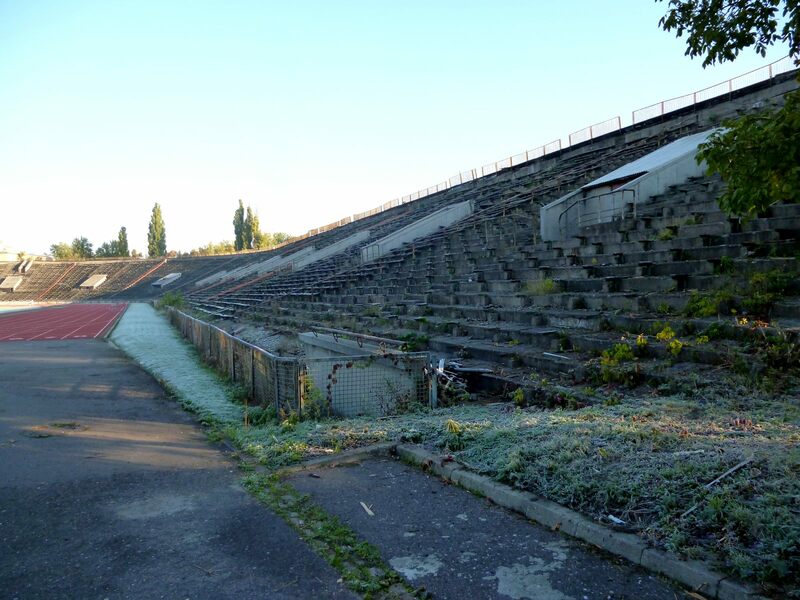 WWII made its completion impossible and Nazi artillery used the site during warfare. 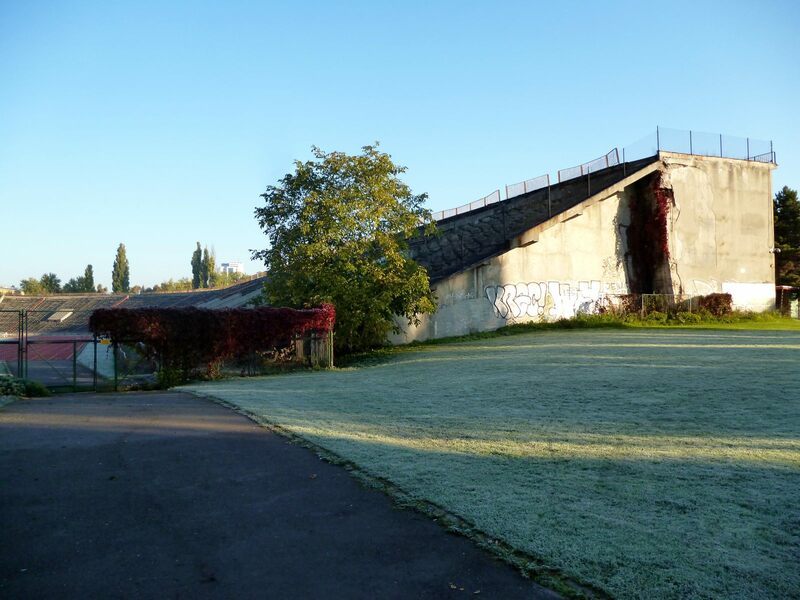 Following heavy bombardments only pieces of the old embankments were left. 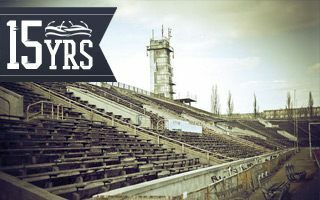 In 1946, when Warsaw reconstruction was ongoing, the land was offered to another large club in Warsaw, Skra. 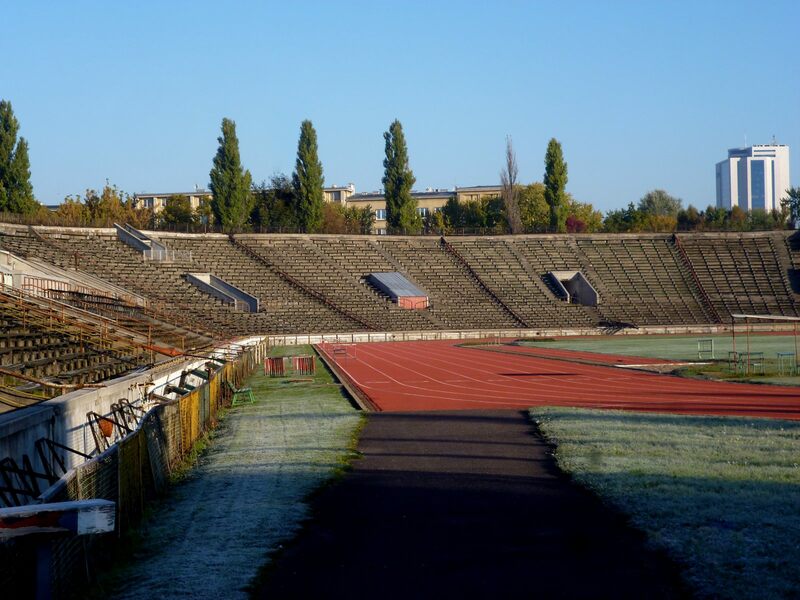 With slightly rotated field the new stadium was built with horseshoe shape. 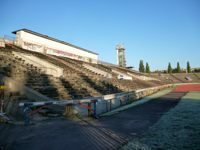 The southern open end established a connection to the remainder of Mokotów Field, while the simple and elegant architecture by engineers Kokozow and Wasilewski provided significant floor space, aside of the stadium’s large capacity of 35,000. 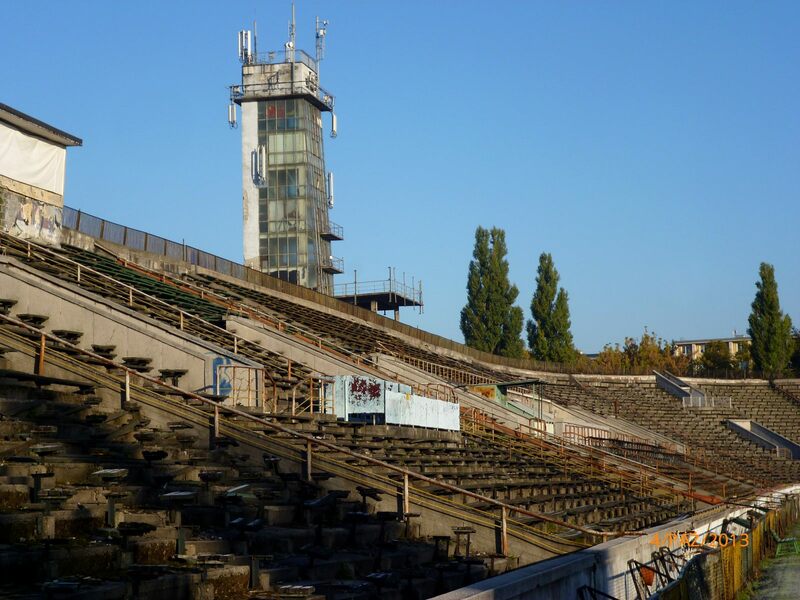 The building was operable in 1953, not long before 5th World Festival of Youth and Students (1955) held in Warsaw. 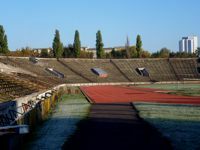 The stadium’s size and central location in Warsaw made it one of the city’s most popular sports venues and one of Poland’s athletic stadiums. 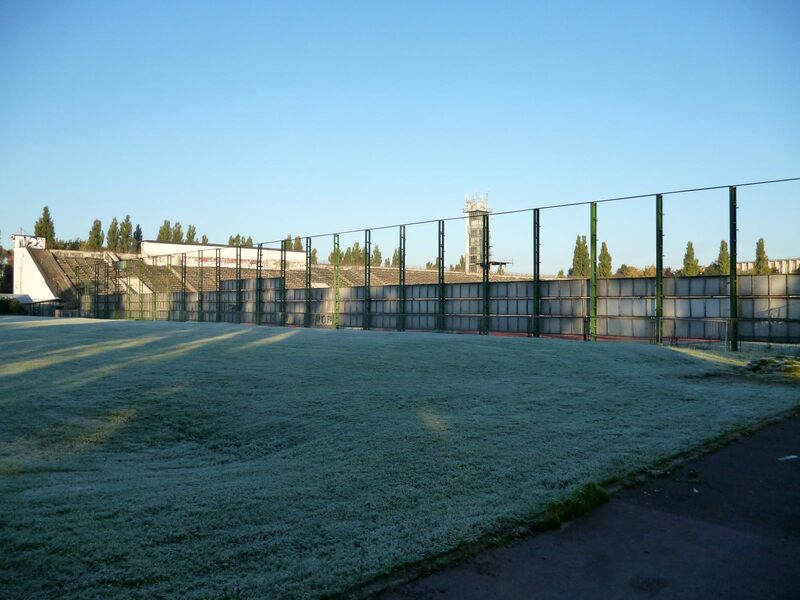 In 1969 it became the first nationwide to receive a polyurethane running track. 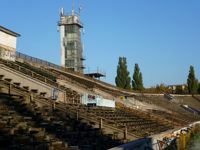 The Polish Sports and Tourism Museum moved here in 1966 and by 1970 the Olympic Preparations Center began functioning, including a hotel on top of the stands. 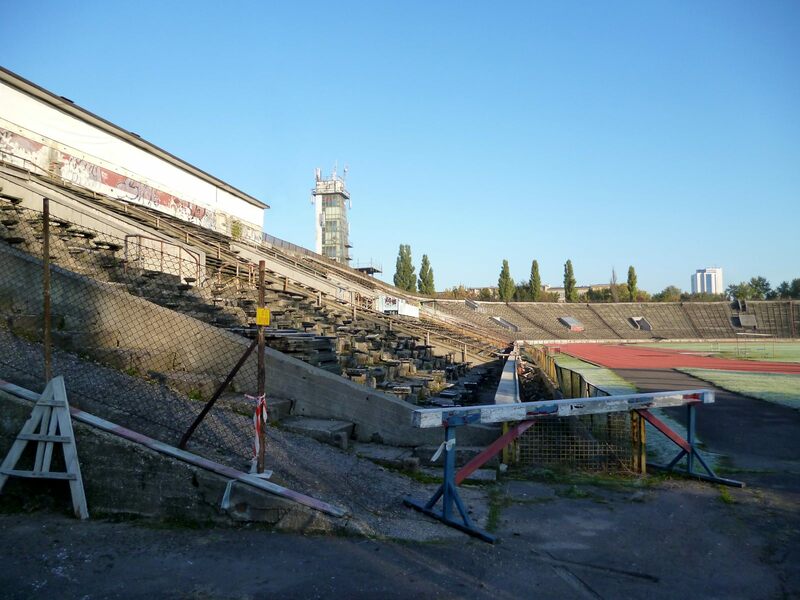 Despite its crucial role to national athletics the stadium went into disrepair after regime change, in 1990s. 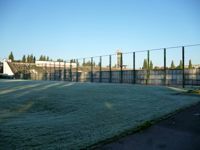 Skra was unable to maintain it and several attempts to invite private investors in exchange for commercial space were stopped by the city of Warsaw, arguing the site could only serve sports. 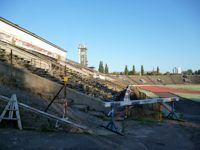 As a result Skra lost the freehold of its stadium in 2015.